This beautiful figurine of the Guan Yin has unfortunately got his face distorted. We suspected the damage was done during the cultural revolution when all artworks, intellectual works, religion was ordered to be destroyed. 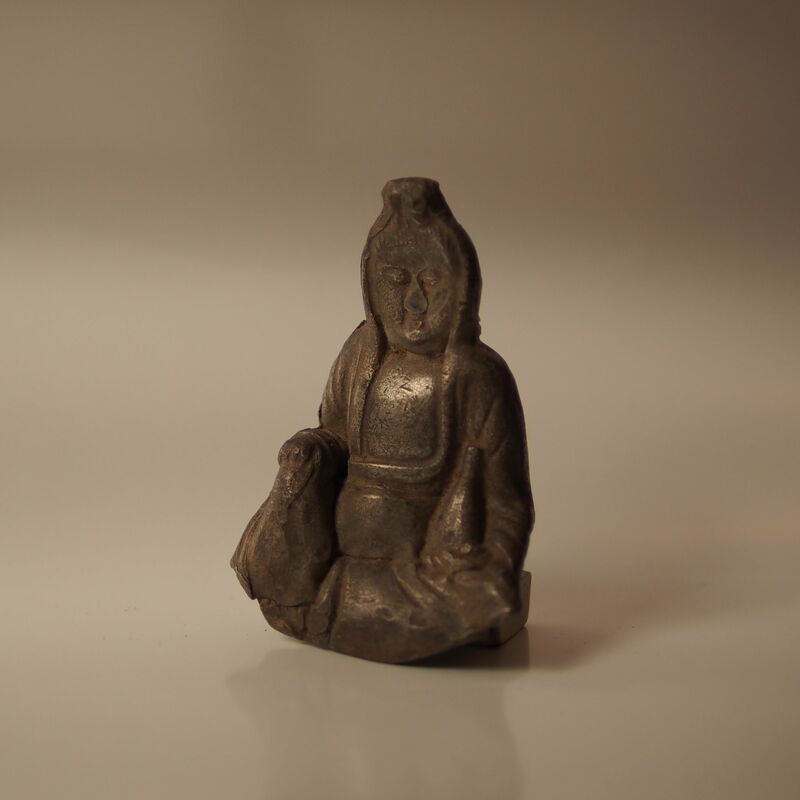 From the denting, one can see that perhaps the person ordered to destroy the figurine does not have the heart to do it, despite the hammering the face is still vivid and the garments still carries its form despite being removed from the lotus throne.